I’m not going to Blogher…Boo Hoo! Really I am sad. I’m a little bit envious of all of the wonderful bloggers that I will be unable to bless with my presence But I DO get to stay home with my family and they are better than Blogher and Bake Shop Twists put together…So right now I’m going to tell you the top 10 reasons I am excited to stay home with my family! 3. We can have a “clean the walls party” and to top it off I think we’ll add in some extra fun and see who can clean the most baseboards in an hour! 5. I can choose to stay out of the 109 deg. weather…Yes I did say 109 deg.! 9. Because DH is my movie buddy and on the weekends it’s movie marathon time, while little feet pitter patter in front of us and we only catch half of the movie! 10. Because DH, Lil’ Pea and Big Pea are Rockstar’s and I would be a fool not to be excited to hang with them any day of the week! Want to help me win $100? OH please, OH please…were saving to buy the girls new beds and we could use a little extra cash! The fabulous FREE online site cozi.com is giving the top 15 bloggers who have the MOST comments AND who are NOT going to Blogher $100!!! All you have to do to help me out is leave a comment…any comment…tell me you love me, tell me you hate, as long as it’s a comment you will help my girls get some new beds! Everyone who comments on this post will also get 5 extra entries into each of the giveaways during the Bloggy Birthday Bash (Valid until 7/27 at midnight)! 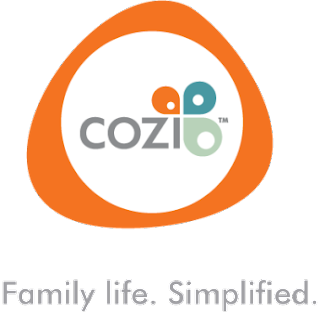 Cozi is a site that allows you to make lists, calendars, reminders and messages and so much for and it’s all FREE! Yes, Free..you have to check them out! Just visit http://www.cozi.com/ to see what all the buzz is about! Who’s Bloggin’ in the Blogosphere?